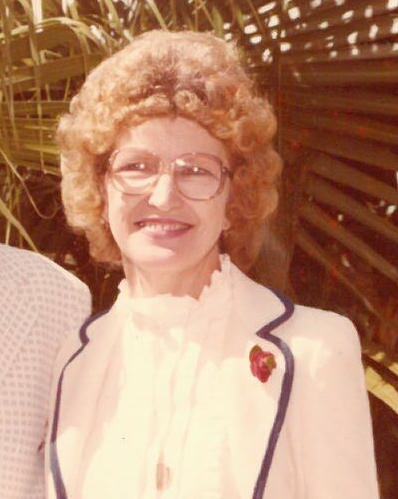 Amy Collins McGowan of Columbus, GA and formerly of Bonifay, FL passed away on Tuesday, October 2, 2018. She was 84. A graveside service will be held at 10:00 a.m. on Saturday, October 6, 2018, at New Zion Baptist Church Cemetery with Rev. Jim Mashburn officiating and Pittman Funeral Home of Geneva directing. The family will receive friends at the funeral home on Friday, October 5, 2018 from 5:00 until 7:00 p.m.
Mrs. McGowan was born in Holmes County, FL on January 24, 1934 to the late James Bascom Mims and Welthie Collins. She enjoyed fishing, watching car racing and Alabama football. In her younger years, she enjoyed water skiing and four-wheeling. Prior to her retirement, she worked as a bookkeeper for Fountain, Arrington and Hoffman. She was preceded in death by her husband, Fred H. “Pete” McGowan. She is survived by her daughter, Lisa Martin; son, Frederick McGowan and wife, Kazuko “Karen”, both of Cataula, GA; and a grandson, William Wade McGowan of Commerce, GA.